Ladies Day at Chester Races is where the ladies really take over the races for the day. It is the perfect place to celebrate a special occasion or even just for a day out with the girls. Expect an unforgettable day filled with glam, fashion and fun with the Pimms and champagne flowing. Further information can be found on the Chester races website. 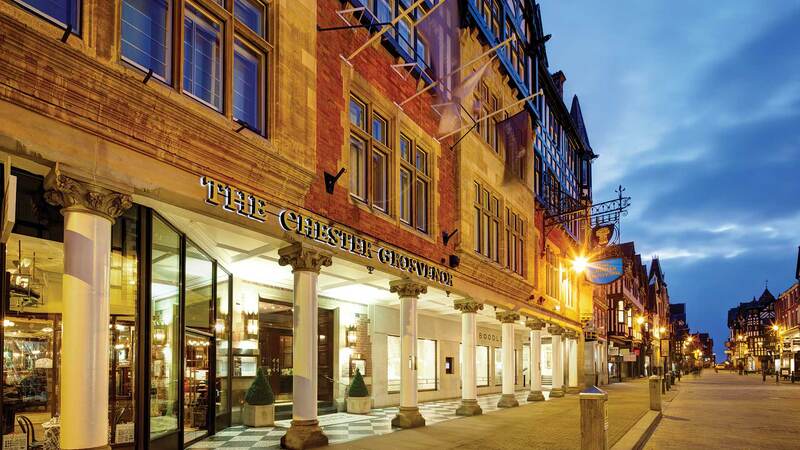 The Chester Grosvenor provides the perfect place to stay after a day at the races. This is one of our most special hotels and won Pride of Britain “Hotel of the Year 2011″. This hotel is housed in a historic listed building in the centre of the Roman city of Chester. You can expect a delightful mixture of traditional and contemporary style with a unique décor and top-quality amenities in the 68 guestrooms and 12 suites. Within the hotel there is a Michelin star restaurant which is renowned throughout the country for its creative menus and extensive wine collection. Alternatively is “La Brasserie” which offers an elegant take on Parisian dining for a more relaxed meal? For after a long day at the races the hotel boasts its own Spa with five treatment rooms and tranquil Thermal suite with a whole menu of therapies available.